The blacksmith’s craft has been an essential part of civilizations for thousands of years. Economic, technological, and agricultural advances were absolutely dependent on the skillful forging of iron and steel in small-scale workshops until the early nineteenth century. As industrial scale forging shops emerged, and the development of modern casting and welding technologies followed, the role of the individual blacksmith progressively lost importance. 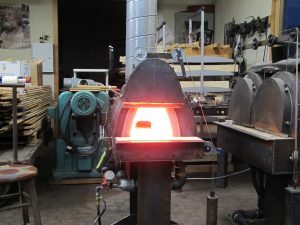 While over the past fifty years there has been an encouraging renaissance in the world of blacksmithing, it no longer occupies a position of practical and economic necessity as in times past. Modern smiths practice their craft primarily to provide for a small yet growing market for high quality architectural metalwork, knives, tools, and sculptural work. Nearly all of the work produced today is for non-essential uses and the clients tend to be wealthy. Because the craft is dependent on an affluent society, it is particularly vulnerable to economic cycles and adjustments. Nonetheless, modern blacksmiths are producing a wonderfully wide variety of work, and enjoy a creative freedom few of their predecessors could imagine. However, blacksmithing is important today for reasons far beyond the objects that its practitioners produce. In addition to making objects of beauty and utility, contemporary smiths are engaged in a deeply fulfilling craft that engages mind and body together in ways that have no equal. 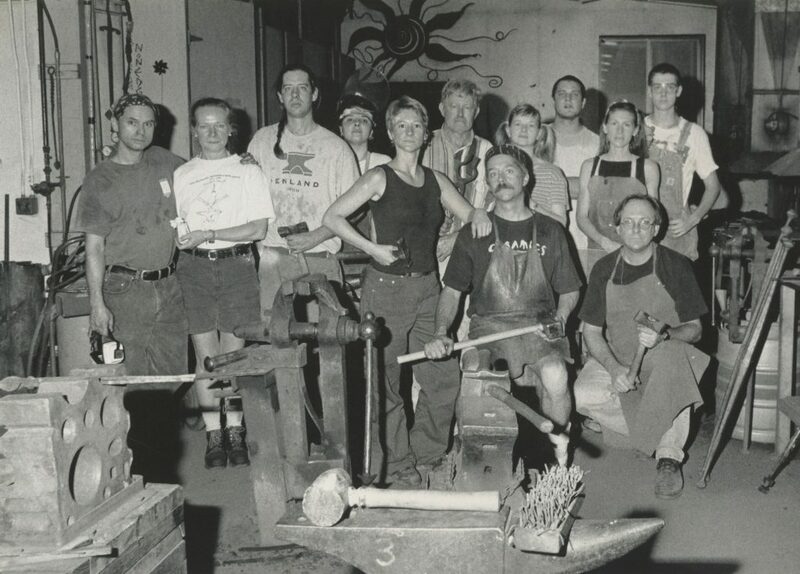 The connection with fire and force, the relationship to function and form, and the requirement for self-reliance are among the aspects of blacksmithing that keep those engaged in the trade passionately committed. It is fundamentally good work and empowers the smith in ways hard to imagine for the uninitiated. It is no wonder that more and more people who find the overriding consumer culture empty are intrigued by blacksmithing and want to experience the craft directly. Blacksmithing offers a reprieve from the impersonal, industrial consumer society we live in. The mining, processing, and working of metals of all kinds are energy intensive endeavors. Blacksmithing centers around the repeated heating of iron and involves considerable use of fuel.